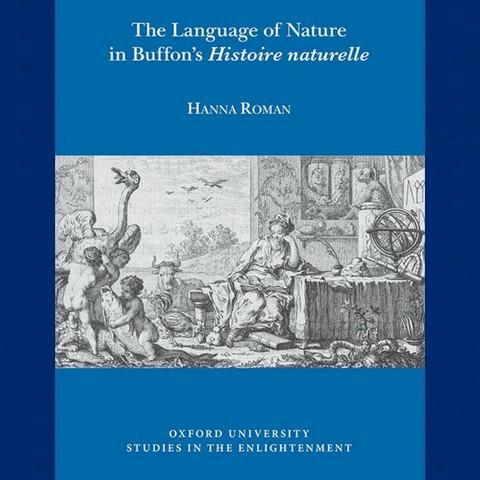 Hanna Roman, one of our Assistant French Professors at Dickinson College recently published her book entitled "The Language of Nature in Buffon's Histoire naturelle". Hanna Roman examines Buffon’s Histoire naturelle, arguing that the written language of natural history in the Enlightenment was itself a form of knowledge, with Buffon’s literary simulacrum of nature teaching his readers not only about the history and laws of nature, but also how to interact with nature differently. She is interested in the discourses of scientific knowledge in Enlightenment France, and her new research focuses on the languages of theology and natural history in works of eighteenth-century geohistory.